Proclaiming Free Grace: Faith alone, in Christ alone, nothing more, nothing less, nothing else. ***** Because of abuse, I had to turn off automatic subscriptions via email. If you want to subscribe, just send an email to me at dreiher2 at g mail dot com with your login name, your real name, and the password you want to use. Because of further abuse I had to turn off comments, please email me if you want to post a comment. What does Jesus’ conversation with Nicodemus teach us about the saving message in the OT? The significance of “And as Moses lifted up the Serpent. . .” in John 3:14 in terms of what we believe in Jesus FOR. What is my vision for Faithaloneradio? 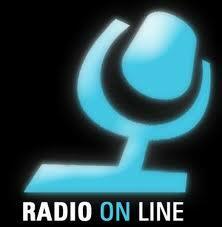 My vision is to host an “online” internet radio site. Up until now, Free Grace ministry resources have been scattered, somewhat divided and unfocused. Most people outside of our circles, and outside of the US have never read our books, and do not even know what Free Grace Theology is. Hopefully, faithaloneradio will help change that. Instead of starting yet another Free Grace ministry to spread resources even thinner, my vision is to promote the Free Grace message around the world through an atmosphere of teamwork and cooperation of existing ministries, as much as possible. It will keep in focus the saving message in John 3:16,17, that people get everlasting life by simple, uncomplicated belief in Jesus for that free gift of life that can not be lost. Of course there are many other peripheral issues about the Person and Work of Christ as the basis for our Salvation, which have been discussed at GES conferences for years, that are very important. We should have convictions about those, and teach those in our ministries too. However, in the big scheme of things, we will never gain a hearing for the finer distinctives of the Free Grace message, if we are not clear on the most important point. Add to that, the fact that most evangelicals in the world are lurching into Reformed and Lordship theology. These well meaning folks are completely confusing people as to exactly what a person has to do to get everlasting life, and have assurance of it. We need to major in the majors and gain a foothold with a clear saving message. The rest of our Free Grace teaching can follow after we gain a foothold with a clear saving message in the evangelical community. One Caveat. There are some “Free Grace” folks (and I use that phrase loosely), who have played major roles in fostering division in the Free Grace movement in the last 6-8 years. These folks write books, make videos, audio files, host web sites, and in some way make strongly critical public statements against other Free Grace people or organizations. 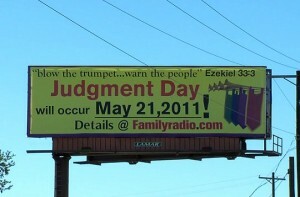 I openly admit, that faithaloneradio will be biased toward the views of GES and Zane Hodges and Bob Wilkin. That is because of my preferences, and I cannot pretend that I am not biased in that direction. However, I do not attack other Free Grace people publicly, and such attacks will not be tolerated in this ministry. There are genuine disagreements, but keep the disagreements in private discussion. Let us not make the same tragic mistake these folks have made. The Gospel and Salvation and Assurance and Eternal Security are divisive enough issues! We have to work extra hard to be (1) Biblical, and to be (2) gracious. If you are not interested in those 2 priorities, then faithaloneradio probably will not be your cup of tea! If you are one of those Type A personalities who has to win every argument, then faithaloneradio will probably not be a good place for you. I eventually hope to have a topic of the day, topic of the week, AND a topic of the month. There will be a variety of videos, audios and books which we will focus on and discuss in live webcast format. I will also try to provide daily updates as far as news relating to evangelism as it relates to Reformed Lordship issues and the Free Grace message. A part of my vision is that faithaloneradio will have the largest collection of Free Grace books, videos, mp3s, papers and links, in the world. Giveaways will be a big part of this ministry. There will be a ground rule, though. People, resources and ministries which are in basic agreement with the core elements of the “Free Grace” position, and which are gracious, AND DO NOT publicly denounce or attack the views of other Free Grace people will be endorsed. People, resources and ministries which denounce or attack other Free Grace folks will NOT be endorsed here. Of course I will be the one deciding what will be, and what will not be promoted. I am good at that sort of thing. Having said that, from time to time, I would love to have guests on the live webcast who disagree with the Free Grace view. From time to time, I would love to have people who are strong Lordship and/or Reformed people come on the show to try and clarify where we differ. 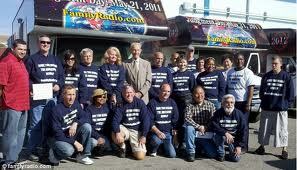 I do not want faithaloneradio to be a “sanitized” ministry where opposing views are unfairly represented. I think those of us in the Free Grace camp know what that feels like! Let’s be fair to the other side, and make sure we accurately represent the position of others we disagree with. In line with our focus on evangelism, I want to have live “street” witnessing segments similar to what goes on at wretchedradio with Todd Friel, Kirk Cameron and Ray Comfort from Wayofthemaster. Instead of confusing people on the street by telling unbelievers they must “repent” and “turn from sin” to get to heaven, I want to demonstrate how to present a clear saving message simply by faith alone. Hopefully these segments will encourage others to get out there and witness to others. The Free Grace saving message is much easier to share because we are not trying to sell a product and master some sort of high pressure committment to “close” the deal. We can walk right up to people and in a non-threatening way share how they can know for sure they have everlasting life. Perhaps we can have John Niemela on some webcasts to give us some practical tips on how to use this powerful evangelistic tool, and to answer questions. Maybe I can take John, or some other guests out to a local university and do some live witnessing demonstrations that we can play on the show. What can you do for faithaloneradio? Pray! Pray! and Pray some more! Pray that God will place his hand of guidance and blessing upon this ministry and that it will truly be a “team” effort. Pray that MANY people will be motivated by faithaloneradio to witness and answer questions in a clear, simple, and effective manner, and that many relatives, friends and co-workers will be saved. Pray for me as I put together the schedules for topics, books, daily programs, videos, audios, and live webcasts. It REALLY was the end of the world for 70,000 people on May 21. You CAN be 100% sure you have everlasting life, the Bible guarantees it! Did Zane and GES change the Gospel? NO! Why are Reformed/Calvinists scared to death to give people false assurance? Is it possible for Believers to have NO fruit, ever? Is getting saved like handgrenades and horseshoes, or must we hit the bullseye? What is the “living water” that Jesus was talking about in John 4? Did Jesus die to pay the penalty for the sins of believers? Do we practice “Reductionism” by holding John 3:16 as being literally true? diane on Is it possible for Believers to have NO fruit, ever? diane on What is the “living water” that Jesus was talking about in John 4? Copyright © 2019 faithaloneradio.org. All Rights Reserved. Magazine Basic theme designed by Themes by bavotasan.com.